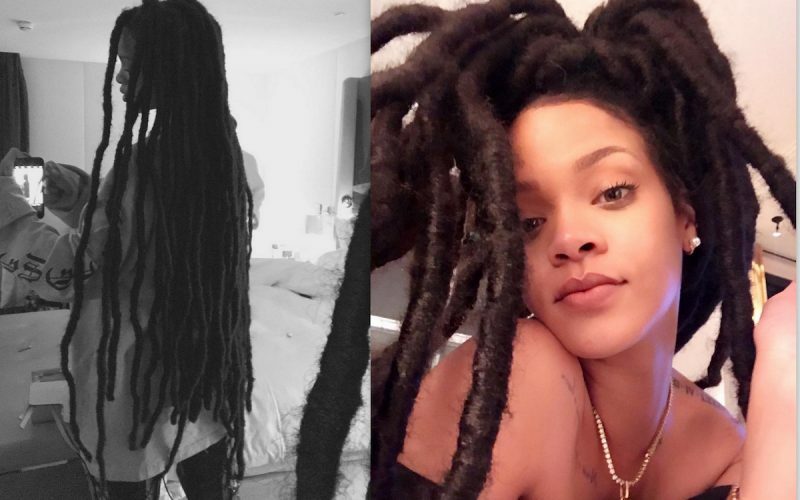 Rihanna always wanted dreadlocks since she was a teenager and now she got them even if they are not authentic. The Bajan pop star debuted her new look on Instagram last night postings photos of her dreadlocks extension. “Buffalo $oldier,” she captioned one of the photos. Rihanna has always been a huge fan of Bob Marley and his music and often credited him for paving the way for her on the world stage coming from a small island in the Caribbean. “Bob we miss & LOVE u! U made this lil journey of mine possible by blessin the world wit ur legend,which lives on thru generations to come RIP,” she wrote on Twitter in 2011 while the world was celebrating the 30th anniversary of Bob Marley’s death.